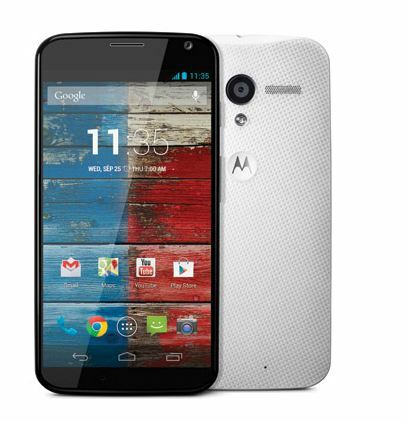 After month and months of speculation the Moto X is finally official. The well rumoured phone will be headed to Rogers later this month and is available for reservation starting today. As with it's US cousin the DROID on Verizon, the Moto X is equipped with a variation of the well known Snapdragon S4 Pro we saw in a few handsets last year. This custom S4 Pro is a dual core variant that has an additional 2 cores dedicated for natural language processing (voice input) and contextual computing processing, add to this an Adreno 320, as well as 2GB of RAM, a 4.7-inch 720p, 2 configurations of 16 and 32GB of internal storage as well as a 2200mAh battery and you have the Moto X. On the software side we already knew about the features from the leaked Rogers training videos including voice recognition without user interaction and camera launching with a twist of the wrist. Unfortunately, even under Google's banner, Motorola only got to ship with Android 4.2.2 just days after the reveal of Android 4.3 Jelly Bean. It seems like the customization options shown at the announcement are exclusive to AT&T in the US so no word on Canadian options outside of the standard black and white. Keep it locked on AndoridBugle.com for more information and we'll try to get a full review of the Moto X as soon as we get our hands on the device.